The Model QH9103 is the connectorized version of our Drop-In design, Model QH8718. 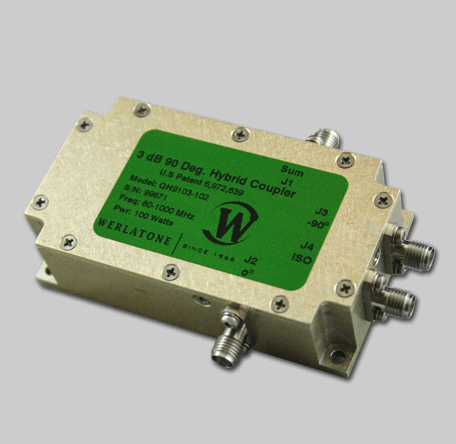 This 90 Hybrid Coupler covers the full 80-1000 MHz band, and is rated at 100 W CW. The QH9103 measures only 3.1 x 1.7 x 0.84 inches and weighs just 5.65 ounces.